When you are afraid of the open sea and do not know how to swim, the last place you would want to work is on a yacht. But that’s exactly where Miss Zurinah Shafi’e ended up, and she’s now loving every minute of it. “You get to travel to many different places and see many different kinds of people, and all this while getting paid,” she said. 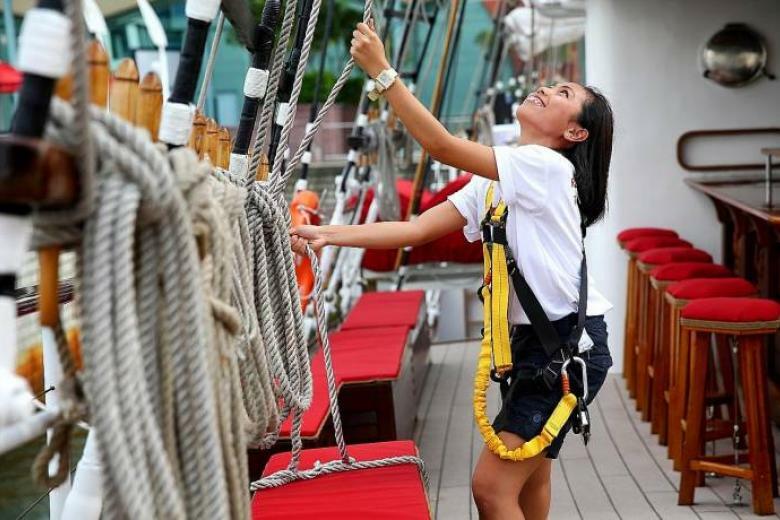 Miss Zurinah, 23, a former Institute of Technical Education (ITE) student, earned her spot on the Royal Albatross, a luxury tall ship, by winning a scholarship with Tall Ship Adventures in conjunction with ITE. Last Tuesday, Tall Ship and ITE signed a three-year Memorandum of Understanding (MOU) to collaborate in enhancing the teaching and learning of yacht crew and passenger services. 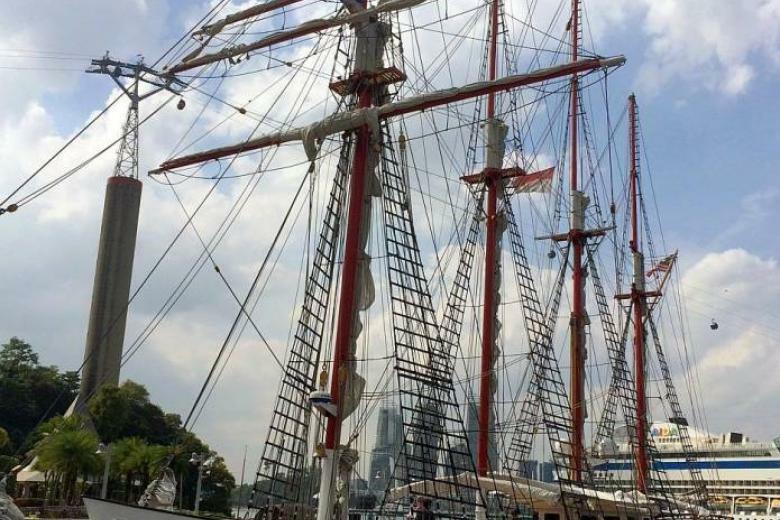 Tall Ship will offer 20 scholarships annually to students in the passenger service course taught by ITE Colleges, and train the recipients on board the Royal Albatross, as well as provide other industry attachments within the superyacht industry. A superyacht measures at least 24m in length and has a motor and/or a sail. Ms Zurinah, who is studying leisure and resort management in Temasek Polytechnic, had taken up ITE’s passenger service course in 2012. Tall Ship Adventures and ITE then came together to offer a scholarship. She signed up for the scholarship, believing it would be an excellent way for her to apply what she had learnt in a unique way. “Nobody knows much about being in the crew of a luxury tall ship, and that’s what makes it unique,” she said. But there was a condition attached to the scholarship – she had to learn how to swim. But it wasn’t easy for her. Ms Zurinah said her mother, Madam Rohani Mohd Idris, 49, was her greatest source of motivation during this period. After eight swimming lessons, Ms Zurinah conquered her fear of water and was ready to take the plunge as the Royal Albatross’ newest crew member. 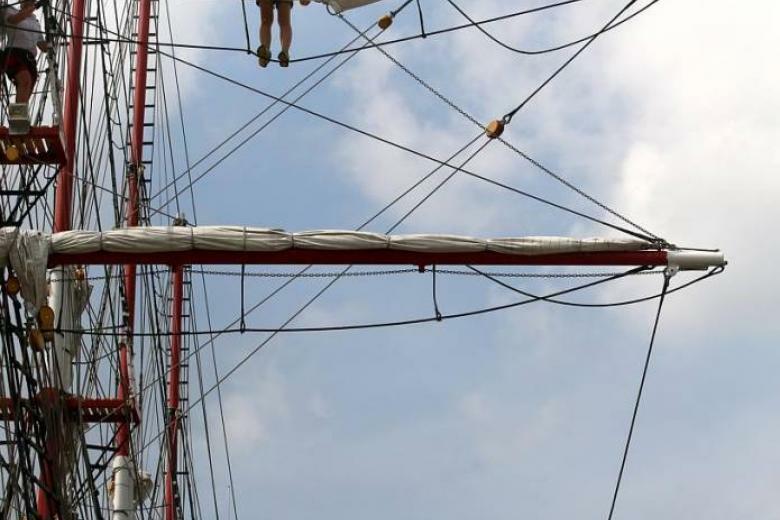 During her 12-day stint on the ship, her duties included securing the ropes on the deck, washing the interior of the yacht, and even climbing up the mast to clean and maintain the sails. Ms Zurinah had this advice for others who hope to follow in her footsteps.